Before the WARDA program, Shanti Devi had no decision-making power on her farm. Now she serves on the Executive Committee of her community's Farmer Producer Organization. The dry, warm winds signal the advent of summer. At her house 25 kilometers away from the main town of Purnea in the state of Bihar, India, Shanti Devi hastily finishes her household chores so she can reach her community meeting on time. Her excitement shows through her hurried energy – this is a new opportunity for her and her community. Purnea has held agricultural meetings for the past three years, but this will be the first time a group made up solely of women farmers convenes to talk business. These 62 women were selected from a group of more than 1,800 members of 37 Producer Groups. All come from smallholder farming families, where money does not come easy, and all are determined to channel their experiences toward a new agricultural future for their block of Dhamdaha, Bihar. 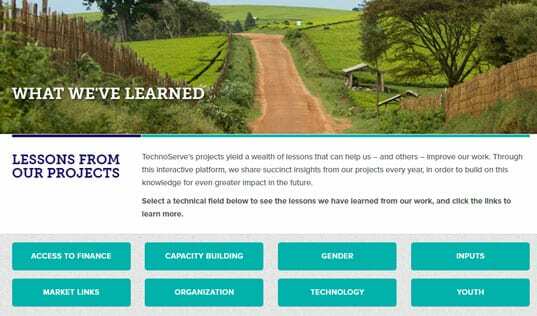 Since 2015, TechnoServe – with funding from the Bill & Melinda Gates Foundation – has been working on an initiative to lift women smallholder farmers out of poverty. The program aims to help women – who are often excluded from financial decision-making on the farm – to directly control their earnings and to gain access to the benefits of aggregating and marketing their crops through market-led Farmer Producer Organizations (FPOs). A collaboration with the Government of Bihar- and World Bank-funded JEEViKA program, Women’s Advancement in Rural Development and Agriculture (WARDA) provides technical assistance to these FPOs, shortening the value chain by cutting out middlemen, increasing efficiency and transparency, and helping farmers to improve their crops and keep more of its value within their households and communities. While before, local middlemen would use rigged scales, WARDA ensures fair and transparent pricing by equipping FPOs with digital scales, moisture meters, and electronic payment platforms. 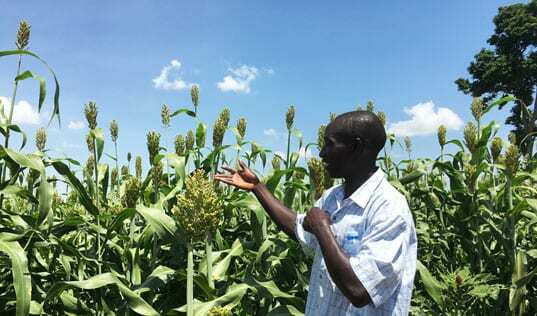 Now farmers know exactly how much they are selling, and receive accurate and prompt payments directly to their bank accounts. In order to ensure the FPOs continue to meet farmers’ needs even after the project’s end, TechnoServe staff worked with the organizations to build a governance structure that incorporates representation from farmer members, ultimately allowing them to move up within FPO management, all the way to the Board of Directors. Recognized for her leadership qualities within her own FPO, Shanti Devi was selected as one of these representatives. As a member of one of these new Executive Committees, she feels confident and hopeful that she will help build a scalable, sustainable, and prosperous company for her community. Shanti Devi has good reason for her drive and optimism. Flashback three years, and she – like her peers in the farming community – did not know of a world beyond her home and her maize fields. She and her husband, Prem Lal Tudu, worked to provide for their family of 12 by farming maize on a plot just over four acres. Every day, Shanti Devi would finish her household chores early and dash to the fields to nurture their growing crops. She would help her husband at every step – preparing the land, sowing the crop, applying nutrients as it grew, harvesting, and processing their yields. 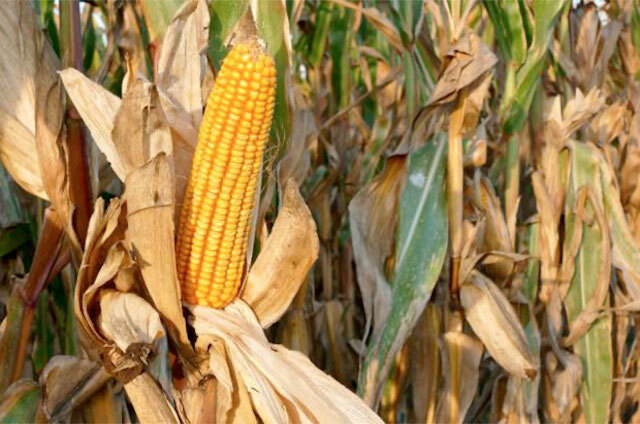 Maize is a capital-intensive crop. Year after year, Shanti Devi’s husband had to take out more loans. 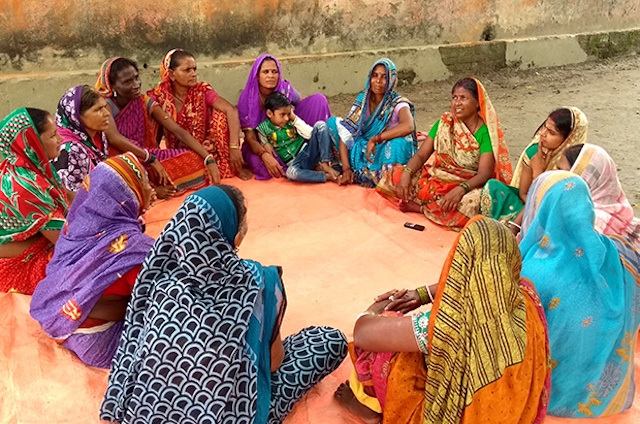 “Based on what my husband discussed with me, I knew that we were financially indebted to the Mahajan (the local, informal money lender), and that we never seemed to get out of this trap,” she explains. But, in 2015, when TechnoServe launched WARDA in her community, Shanti Devi began selling maize to the FPO. It wasn’t a straightforward transition – Shanti had never been given the opportunity to manage this aspect of her business before. She started by attending a series of meetings that taught women farmers about the advantages of doing business through FPOs. She immediately identified this as an opportunity to end their cycle of debt and subsistence, and to turn their farm into a profitable business and a better future. She was convinced, but would need to convince Prem Lal. At first, they sold only a portion of their maize to the FPO. Operating on such thin margins, making an all-or-nothing bet on a new buyer was too risky. But now, three years into the initiative, Prem Lal is so impressed with the FPO’s transparency that they comfortably sell their entire surplus – whatever they don't keep for their own household – to the organization. Transparency is a complex challenge across value chains, but for farmers like Shanti Devi and Prem Lal, technology as simple as a digital scale and a moisture meter – which verifies quality – goes a long way toward ensuring their farming business won’t suffer due to unclear deals arranged by informal middlemen. 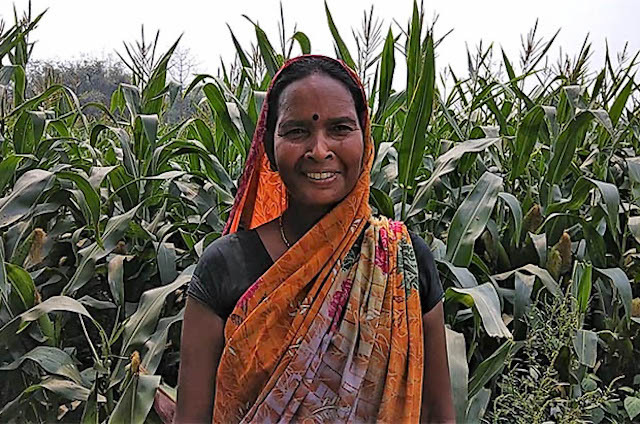 In 2017 – after years of hard work and selling their maize into a formal and transparent market – Shanti Devi was able to pay off the last of their remaining loans from their local lender with the help of a patronage bonus from her FPO. She has gained much more control and decision-making power over her business finances now. Whereas before their money was kept at home and she had little control over its use, she now receives payments directly from the FPO to her bank account. Now she can ensure its safekeeping and easily access it when they need to reinvest in their farm. 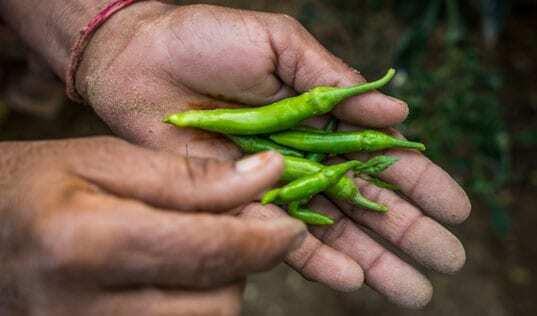 Shanti Devi and Prem Lal have done just that, investing more in their farm now that their business finances are in order and their savings are growing. They purchased a motor pump to improve irrigation on their farm, and now have a motorbike to help with transportation. But the impact of a better market system isn’t isolated to the farm. With their earnings, Shanti Devi and Prem-Lal also built a home for their daughter and her family, and sent their two granddaughters to boarding school. Such is her confidence in the FPO, that Shanti Devi encourages as many other women smallholders as possible to join. 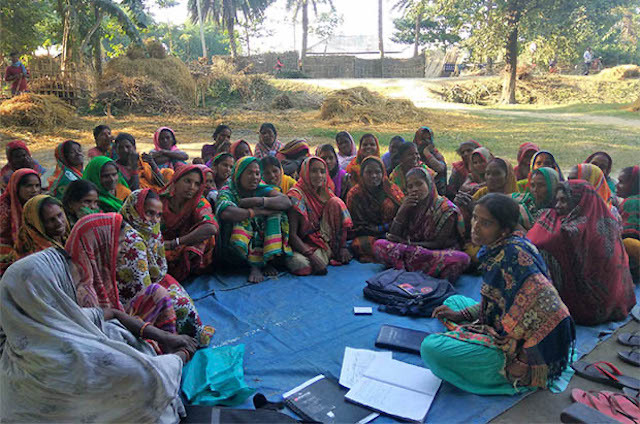 As more and more women join, Shanti Devi is proud to represent their interests and those of all smallholders by taking ownership of FPO operations through the Executive Committee. She has seen what can happen when a system works for farmers, and she will continue to enhance the company’s role in establishing the right systems in the right places for a sustainable and prosperous agricultural future. By the end of 2017, WARDA helped to generate more than $1.4 million in increased incomes for nearly women smallholder 4,000 farmers. See how WARDA has transformed more lives by strengthening the litchi value chain in Bihar.